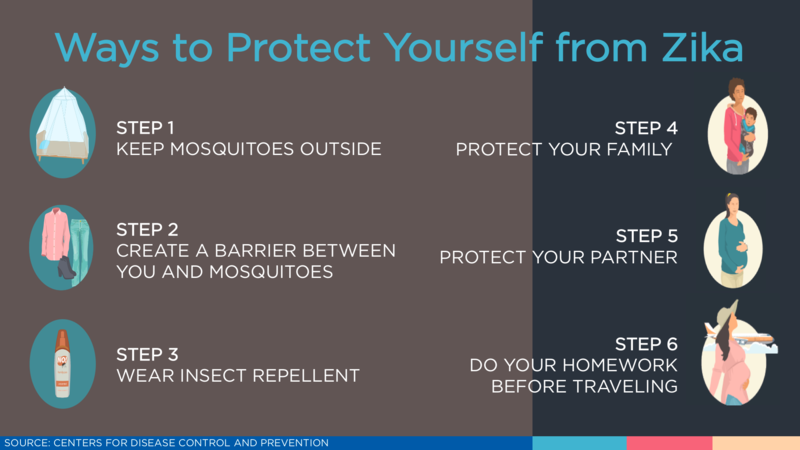 U.S. Travel continues to monitor developments on the Zika virus and its potential impact on travel and tourism. 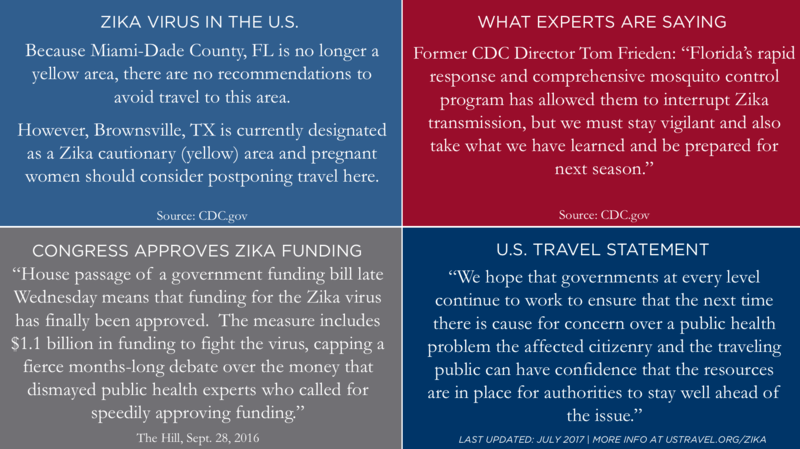 After months of urging legislators to act, the travel community is relieved that Congress passed a short-term resolution that includes $1.1 billion in emergency funding to combat Zika. Zika cautionary area (yellow area): An area where local transmission has been identified, but evidence is lacking that the intensity of transmission is comparable to that in the red area. Miami-Dade County, FL and Brownsville, TX were previously cautionary yellow areas. The level of risk after a yellow area designation is removed is not known, but it is likely to be low. Zika active transmission area (red area): A geographic area where local, state and CDC officials have determined the intensity of Zika virus transmission presents a significant risk to pregnant women. There are no areas in the U.S. designated red. The World Health Organization has publicly cautioned against instituting travel or trade bans in response to the Zika virus. General talking points and additional industry resources are available below. Links to official sources can be found on the right-hand bar.